Structure of lysergic acid diethylamide (LSD), captured in 2D and 3D. Anyone who’s taken the psychedelic drug LSD (formally known as lysergic acid diethylamide), or had the joy of listening to their favorite relative talk about it during Thanksgiving, knows it can be a utterly bonkers experience. A small new study published in the Journal of Neuroscience seems to offer some insight into what’s happening in the brain while we’re on a LSD trip. And it might even provide a hint as to how certain mental disorders develop. German researchers asked 24 healthy volunteers to lay down in a MRI machine and play a little game. They were told to interact, via eye movements, with a virtual human avatar on a computer screen across five different scenarios (the avatar was controlled by the researchers). Scientists have used this exercise as a way to test how well people can socially interact with someone else. The researchers found that when the volunteers were on LSD (as opposed to a placebo), they were less able to pay attention to the avatar and recognize it as another person while they completed their tasks. And the MRIs found they had less brain activity in the posterior cingulate cortex and the temporal gyrus. These regions are known to help with our self-perception, autobiographical memory, and our ability to communicate with others. The study—not for the first time—shows how LSD can create “temporary alterations in self-experience” that make it hard for us to distinguish ourselves from others, lead author Katrin Preller, a researcher at the University of Zurich, told Gizmodo via email. This blurring, Preller added, can then hamper our ability to interact socially. “We showed that alterations in self-experience are not independent from alterations in social cognition,” Preller said. Preller and her team used the experiment to try to better understand mental disorders like depression, anxiety, and schizophrenia. The same sort of alterations we see with LSD can be found in these disorders, though they manifest in different ways. “While schizophrenia patients suffer from an incoherent self-experience, depressed patients show an increased self-focus, i.e. ruminating about the own person/personality,” she explained. In both cases, our ability to interact with others in a healthy way can be impaired. 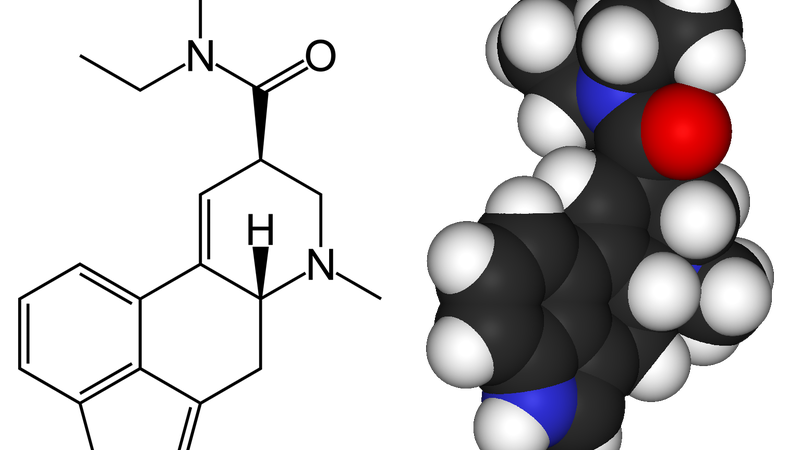 Preller and her team theorized, based on animal research, that a specific version of the neurotransmitter serotonin, called serotonin 2A, plays a major role in how LSD affects the brain. And in fact, when the volunteers were given both LSD and a drug that blocks serotonin 2A receptors, they performed just as well on the game and had similar brain activity as they did on placebos. That finding in particular highlights the potential applications of drugs that directly interact with and stabilize a person’s level of serotonin 2A, Preller said. “When developing new medication we should therefore consider blocking the serotonin 2A receptor in patients with, for example, schizophrenia, which might lead to symptom improvement regarding self-experience but also social processing,” she said. And as some researchers and adventurous volunteers have speculated, both in the past and even today, these treatments could even include LSD. “For disorders with increased self-focus such as depression or anxiety disorders, stimulating serotonin 2A receptors with psychedelics might indeed be beneficial,” Preller noted. Some recent, if still small, studies have shown that the active ingredient in psychedelic mushrooms can help alleviate depression and anxiety, even in low doses. And there is a similar trial of low-dose LSD in the works over in the UK. In the US, meanwhile, research involving LSD remains much more difficult to get off the ground, given its status as a Schedule I controlled substance. The team next plans to explore other receptors in the brain that can help explain the psychedelic effects of drugs like LSD, as well as their influence on social cognition.